Need a car to Phoenix airport? You’ve come to the right place. A car service is quite possibly the best way to get to and from the airport if you live in Phoenix. 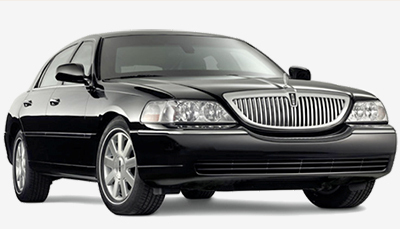 You will travel in complete comfort in a stylish Sedan or Lincoln town car. You will be collected at your house or hotel and be brought right to your terminal. Your chauffeur will assist you with your luggage and will be happy to provide you with an estimated arrival time. It’s recommended that you arrive two hours before your scheduled departure, so be sure to book your car service with this in mind. For arrival your chauffeur will check your flight for delays or arrival changes. When you arrive at your terminal call your chauffeur immediately so they can come and collect you at your terminal. Because of airport regulation drivers cannot wait outside terminals for extended periods of time. You will be met by your driver inside your terminal and they will assist you with your luggage. Once in the car you will be driven to your final destination in immense comfort. Not only is a town car the ideal choice for corporate interests, it’s also a cost friendly option for your ordinary traveler. There is always fixed prices at incredibly reasonable rates. You won’t have to wait for taxis outside the airport or lug your bags on and off buses either. A car service really is the best around, and because Phoenix is so spread-out it means you can get a first class ride at an amazing price. Airport car services operate 24 hours a day, 365 days a year and are always on time. Do you really want to risk not being able to get a taxi, or having a taxi arrive late because of previous, unscheduled arrangements? With a car to Phoenix airport you’ll get the best drivers in the business with the most experience around. Your driver will be polite, courteous and respectful. You’ll enjoy a clean car that won’t smell like someone’s just died in it, unfortunately the same cannot be said for a taxi or a bus. Businesses can set up their own account with car service providers. This way they can arrange to have your employees or clients picked up or dropped off with little hassle.